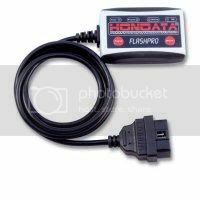 The Hondata FlashPro allows full user tuning and datalogging of late model performance 2006+ S2000. It includes Windows based software called FlashProManager. The Hondata FlashPro connects from your laptop's USB port to your vehicles diagnostic port to provide 90 second programming with a variety of calibrations with extensive real time and stored datalogging capabilities. In stock ready to go PM for best price! !